When Kevin Roberts was a kid growing up in Winnipeg, he would bring his family dog to the park, hook her up to his cross-country skis, and just go. In other words, he was 'skijoring' — a winter sport with a small but devoted following in this country. 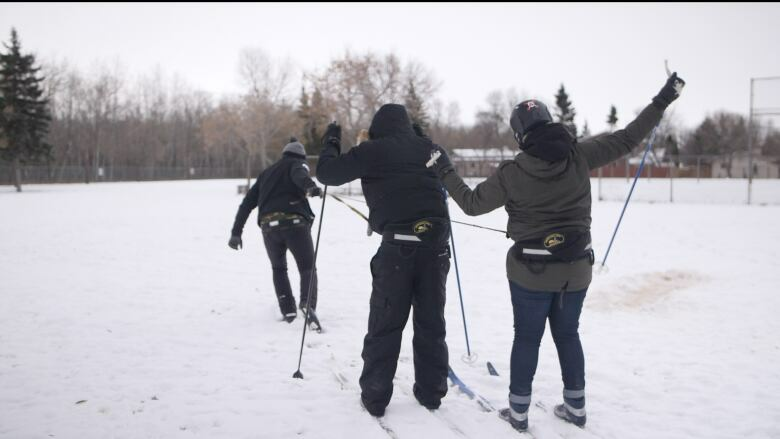 Skijoring comes from the Norwegian word skikjøring, which literally translates to "ski driving" — where a person on skis is pulled by a dog, horse, or motor vehicle. "I honestly think it's in my blood," said Roberts. "My great-grandfather was a mail carrier, delivering mail on dog sled or canoe. I think it just skipped a couple generations, but it hit me hard." 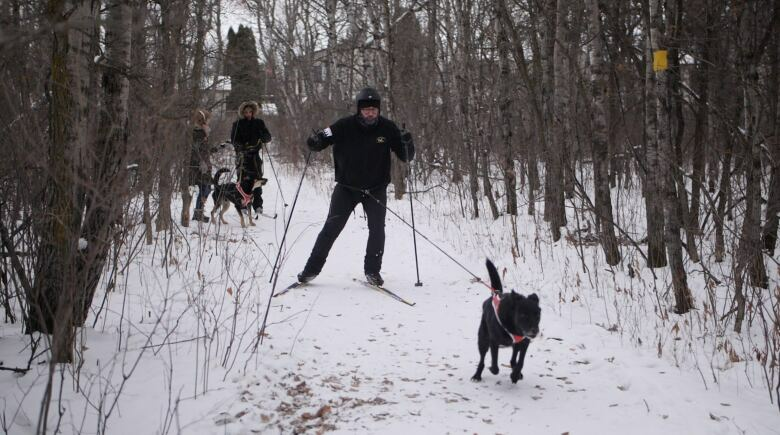 Roberts goes skijoring at least three times a week, pulled by his three "all-Canadian mutts", including a tiny border collie mix named Belle weighing just 45 pounds. "Basically, any dog over 30 pounds is safe to skijiore with," he said. But if you're expecting a leisurely ride where the dogs are doing most of the work, you'd be wrong. "I think the biggest surprise to people is they think they just hold on and go," he explained. "But even the mushers, you watch those guys with the 40-dog teams. They're kicking and pedalling the whole time too, just to help those dogs out." Roberts can reach speeds up to 35 km/hour with his dogs. Skijoring gives him the chance to bond with his dogs in a different way. But it also helps him connect with nature. "It just feels so perfect and peaceful. It's quiet out there, the dogs don't make noise when they run. You just hear the snow on your skis," he said. "I've had such beautiful moments. I've had owls drop down in front of us. I've seen moose out there and wolves chasing down deer." Kevin's final word of advice? "Life's too short to sit inside. Get out and play."